A common reaction when a new wearer comes to their first BWI meeting is to be a little surprised (and slightly intimidated) by the huge number of carriers in our library. 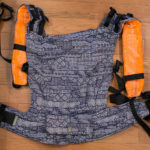 Not only are there a lot, there are very few duplicates; almost every wrap, meh dai, stretchy, ring sling, onbuhimo, and soft structured carrier is a different fabric, size, or brand. That’s a lot of options, and our little collection barely scratches the surface of what is actually available to the consumer. WHY do we need so many types? 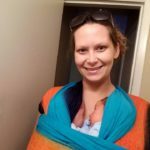 Is there really such a difference from one brand of SSC to another, or from one ring sling shoulder to another, or from one wrap size and blend to another? Do you really have to take every single one of these carriers for a spin in order to find your perfect match? Your baby could be in school by the time you find “the best” carrier! The reasoning we often provide (and there absolutely is truth to it) is that carriers are like good clothes. 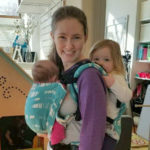 Every body and every baby is shaped a little differently and every caregiver has different goals and preferences when it comes to babywearing and making it part of their lifestyle, so it makes sense to ask some questions, assess your main goals, and try some on until you find the right fit for you. Newborn, big baby, toddler, preschooler? 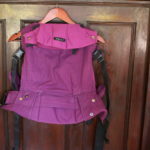 Want to hike, nurse on the go, wade in the water, survive big kid activities? One baby or tandem? Do you prioritize aesthetics or function? Is speed the deciding factor? Comfort? Breathability? 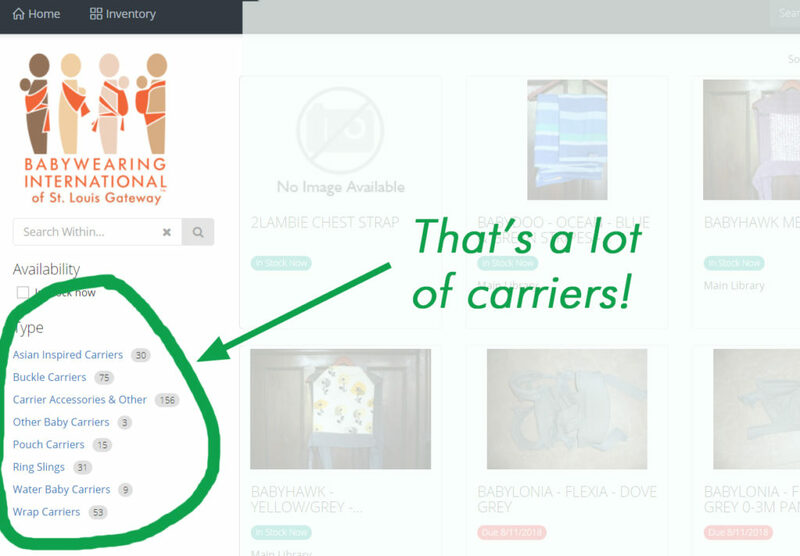 A quick assessment can help guide what carriers you try on! But the other answer is NO, you do not have to try on every carrier in order to find one that will work. 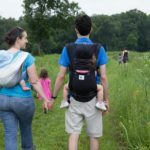 The world of baby carriers is often one of “too many options!” Almost every type of carrier is highly adjustable and a reasonably comfortable fit can be accomplished for almost every wearer. So if you got a carrier as a gift and it’s the only carrier you have and it’s the only carrier you plan to have and you just want some help tweaking the fit to be the best it can be for you, GREAT. 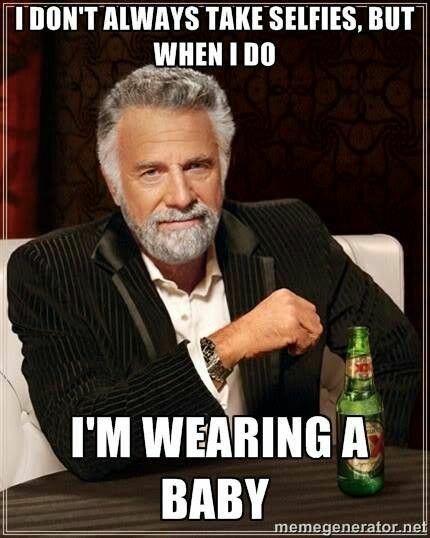 We can check to make sure your carrier is appropriate and safe for your baby, and help get it well adjusted for you, and you can go on your way hands free and with a comfy baby. Honestly, that’s how I am with clothes. I have no interest in spending hours trying on pair after pair of jeans that all look basically the same to me. Just give me a reasonably comfortable pair that fits. Actually, I’d even prefer to just throw on a skirt because there’s even less fitting required! Confession: It took me way longer to wrap this carry than it did to throw on that stretchy knit skirt and tank top, because that’s how I feel about clothes. If that’s how you feel about carriers, great! 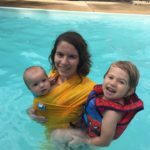 Babywearing is supposed to be a useful tool, something to assist you in accomplishing the day-to-day living you choose for your family. 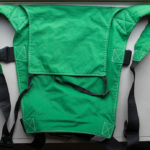 Of course we have the added concern of your baby’s safety that doesn’t come into play when choosing clothes, but it’s pretty simple to determine what size carrier is appropriate for a baby, and after that, choosing and fitting a carrier does not have to be a long, complicated, expensive ordeal if you don’t want it to be. It’s common for us to see a caregiver at a meeting only once, simply to get initial help with fit or wearing a new baby. 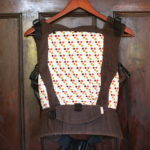 Yes, new carrier designs and styles and fabrics and options come out All. The. Time. No, you are not required to keep up with every new release in order to be a *true* or *successful* babywearer. 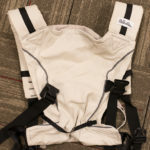 On the other hand, if your body type is somewhat of an outlier to what most manufacturers consider average, you really might have to try on a few to find one that is reasonably comfortable, and we can help with that also. 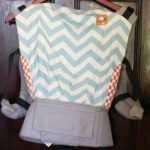 You might come to a few different meetings and try on a bunch of carriers at each until you find your “one” and go out and purchase it, and that’s ok. Or you might become a member and borrow a new carrier each month for a year and then discover your baby has decided to age out of babywearing and never buy one of your own. 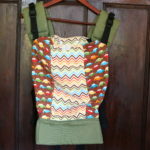 And that’s ok.
All these soft structured carriers have the same basic design, work about the same way, and will fit most people, but we often find we prefer one over another after trying on several due to body shape and specific needs. And on the third hand (because every caregiver deserves a third hand), if you find the ergonomics of babywearing interesting, or if you enjoy the artistry of different colors and weaves of fabric, or if you prefer having a choice of carriers for different situations just like some people prefer having a choice of shoes or bags or sunglasses for different situations, and you WANT to delve into the nuances of different carrier constructions, or the historical elements of babywearing through different times and cultures, or the pros and cons for different body types and babies, great! 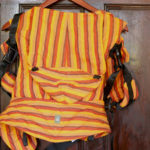 You might try on a dozen of our library carriers in one meeting just for fun. Or you might become a member so you can borrow carriers between meetings and try them all. 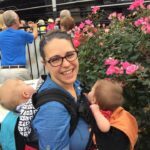 Or you might come to all the meetings just to hang out and talk parenting and babywearing with other caregivers. (In fact, you might join us as a volunteer and you’ll be in good company.) This is all ok with us. So no, finding a good carrier doesn’t have to be hard. 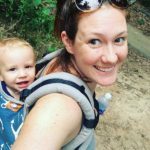 If you want babywearing to be a simple “fit it and forget it” tool in your parenting toolbox, then that’s what it is. 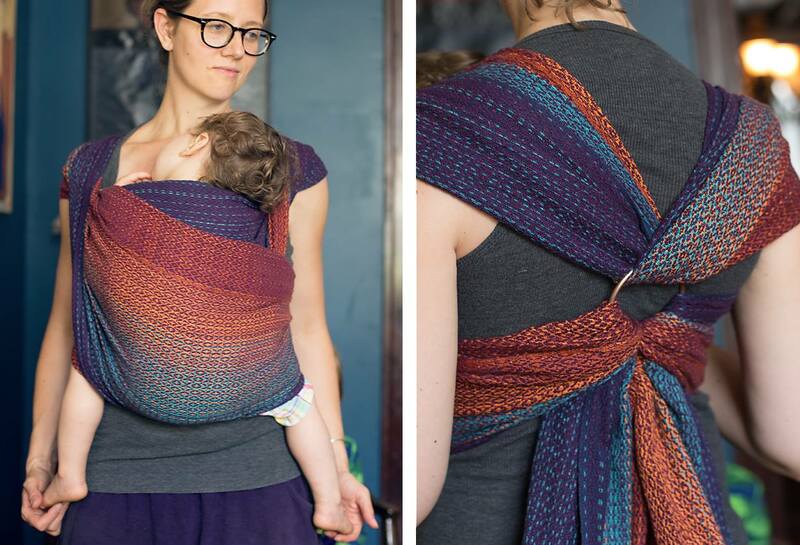 And if you want babywearing to be a hobby to which you devote a little more time, energy, budget, and the occasional selfie, then that’s what it is. Either way (or anywhere in between), carry on, caregivers!